I have also had some time to really dive into my latest book purchase: Pale and Interesting by Atlanta Bartlett and Dave Coote. 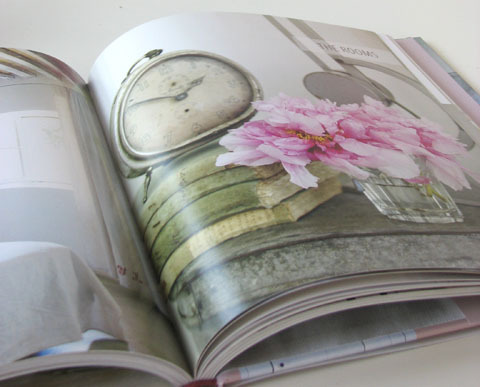 This book is not only a visual delight but it is well written and encourages a more simple approach to decorating. Their design ethos to keep it simple, keep it real and keep it relaxed is carried through the book. It features interiors that range from very rustic, country, shabby chic inspired to more modern paired down spaces. All with the common elements of using predominantly white, pastels and neutrals. If you're a fan of pale interiors and love mixing old with new this book will not disappoint. For more images please visit Atlanta Bartlett's website and her online store: Pale & Interesting. ich liebe dieses Buch! Ganz tolle Inspirtionen! That looks like one yummy book!